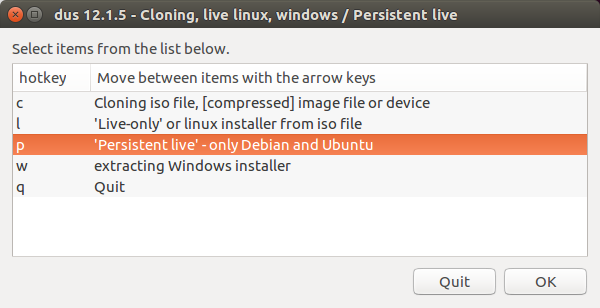 I want to make a persistent live Ubuntu USB drive with more than 4GB of storage. I know there is an option of installing directly on the drive but I don't want to do this as it will restrict the drive from working on different computers. One option is to make an additional partition with extra space but if I do this how can I get newly installed software to be stored on this partition? The current Unix USB Installers (e.g. Universal USB Installer from PenDriveLinux.com) create a persistent file on the boot partition together with the other files needed for booting. This boot partition is formatted with FAT32 and because of limitations in FAT32, the maximum size of this file is 4GB. To have more persistent storage, this file can be replaced by a partition. The size of such a partition is only limited by the size of the USB drive. I used the GParted partition manager to resize the FAT32 partition and make space for a big EXT4 partition for the persistent storage. The persistent file can simply be deleted and at the next boot, the Ubuntu system will automatically use the bigger persistent partition. There is one complication, though: you need another Ubuntu system to do this because Ubuntu cannot modify its own active boot partition. 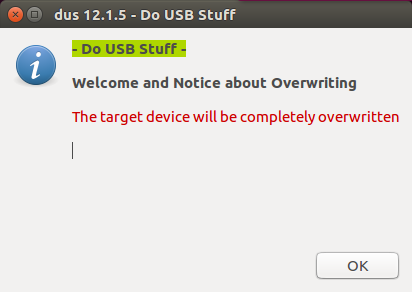 I used a 2nd USB drive with Ubuntu live. For the instructions below I used "32 bit Ubuntu 13.10 desktop" version. 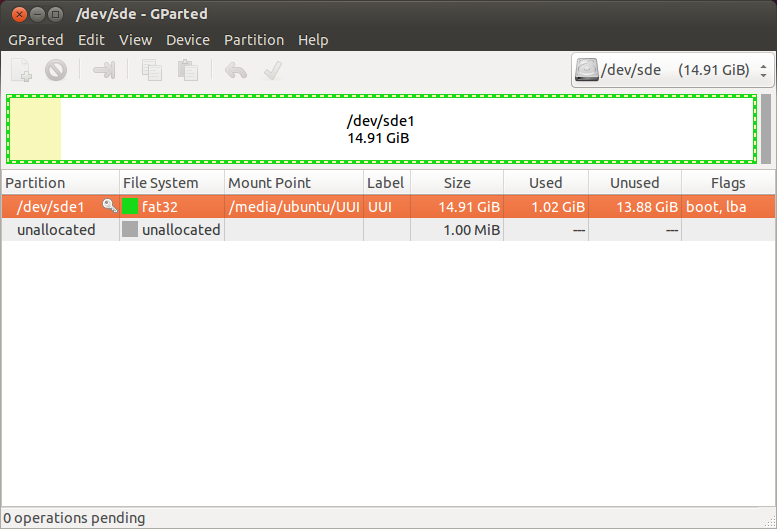 Install Ubuntu live on 2 USB drives. Configure a small persistent storage of around 100 MB for each of the USB drives. 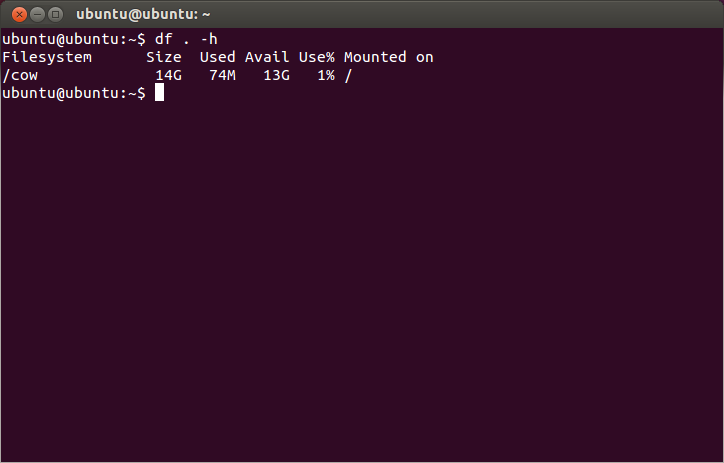 Boot Ubuntu from one of the USB drives. Make sure the other USB drive is unplugged. 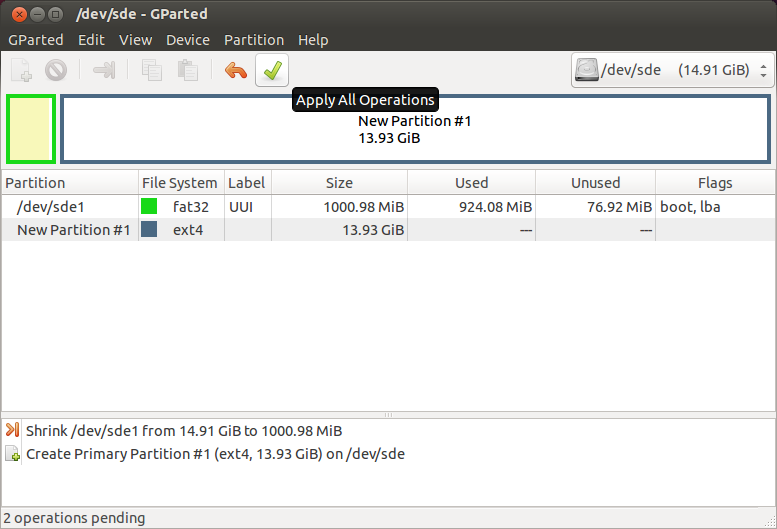 Start "GParted Partition Editor" from the Ubuntu Dash. This partition manager is default installed in 13.10. Insert the other USB drive, wait a short moment and do a refresh in GParted (Ctrl+R). You will notice that a new device is added at bottom of the list of devices. Check that the size matches with the target USB drive. Select this device (see example picture below, the device name can be different on your system). Check that the mount point (/media/ubuntu/UUI) is identical as in above picture. Refresh GParted (Ctrl+R) and notice the change in "Used". Right-click on the partition and select unmount. You will notice that the Mount Point is no longer displayed. Now create a new partition for the persistent storage. Select the unallocated partition and right click on New. Select file system “ext4“ and label casper-rw and click Add. Check if everything looks OK and click on the green check mark to apply all pending operations. 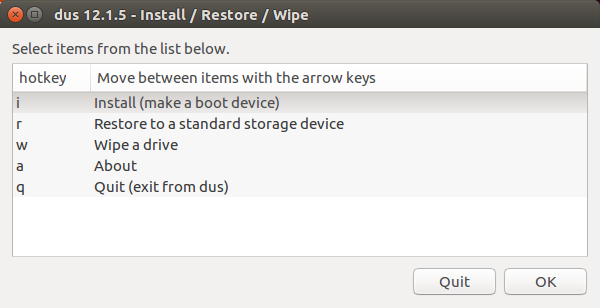 Shut down Ubuntu, remove the first USB drive (this USB drive is no longer needed) and reboot from the second USB drive. 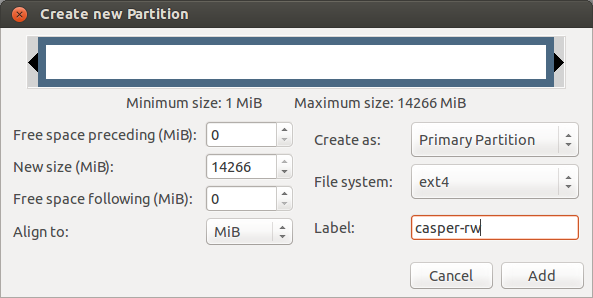 Check that the Avail size matches with the persistent partition size you created. I would like to expand on the answer by V Bota and sudodus. I wrote much of this for another question but I think it would serve better here. I too have previously tried many different instructions without success and had almost given up when I found a working method using the very nicely created mkusb tool. I am assuming you have the .iso file (of Ubuntu 16.04/any *buntu) already downloaded. If not get it. I have tried running these instructions from an installed Ubuntu system. Note: There is currently a limitation that efi-enabled OSes wont work in BIOS mode. To bypass the restriction, run all these steps from another live system. Boot into an existing Ubuntu or live-boot the secondary Ubuntu flash drive. The last command might fail (though unlikely) as mkusb (GUI version) has some dependencies that are not preinstalled/active in the live version of Ubuntu. 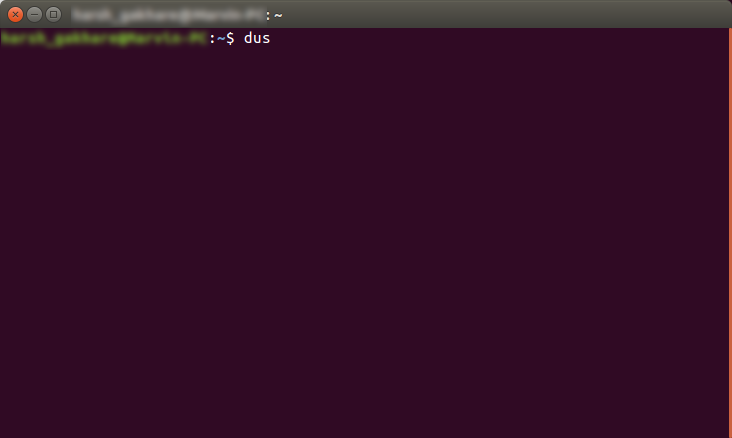 dus is an alias for the latest updated new-look of mkusb. It is a revamp of the old version and even more easy to use. Screen 2: Double-Click on the p option Persistent Live and select the .iso file. Screen 5: Enter the percentage of USB drive space you want to allot for persistence file-system. The remaining will later show up as portable storage device. Screen 6: Double check you have selected the right device and settings. Tick the Go radio button and click Go. Screens 7,8,: Just click Ok and let mkusb do its thing. Now plug your newly made persistent drive in any system and check if it really stores data/settings across reboots (Mine does). The whole process should look something like the following. Double check very carefully and confirm. You don't want to mess up another drive. Thanks again to V Bota for this answer and andrea-lazzarotto for helping edit this one. The following lines indicate the steps I tried and worked for me with Lubuntu 15.10 on the same OS. If you do not have an official ubuntu (Lubuntu, Xubuntu, Kubuntu ...) ISO image download one. then in mkusb's main menu select the ISO image you have downloaded. I have also toggled the option to have a persistent drive created. Select the option to install the selected ISO image. If you did not check it until now make sure that the bios settings allow booting from USB before HDD. Syslinux started adding support for NTFS with version 4.06 but did not offer full support until version 6.03. UNetbootin - 655 uses Syslinux 4.03 and is limited to 4GB persistence files per FAT32. MultiBootUSB - 8.8 uses Syslinux 4.07 and will install on NTFS, persistence files are not limited to 4GB. Rufus 2.16 uses Syslinux 6.03 and will install on NTFS, persistence files are not provided but can be added manually and are not limited to 4GB. YUMI - 2.0.4.9, (MultiBoot USB), uses Syslinux 6.03 and will install on NTFS, persistence files are not limited to 4GB. 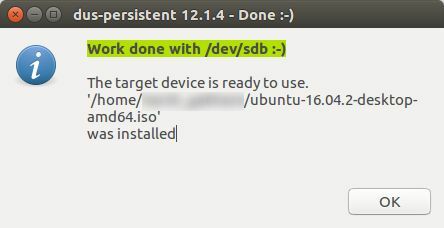 Like MBUSB 8.8 it can have persistence files for each distro installed. Mkusb is now my favorite Live/Persistent flash drive maker for Linux, however the OP has been misinformed about a Full install not working on multiple computers. A Full install to USB will work on any computer a persistent install will work on as long as proprietary drivers have not been installed. Not only that but a Full install has other advantages such as booting much faster, being updateable, etc. Not the answer you're looking for? Browse other questions tagged live-usb persistent or ask your own question. From where can I download the latest Ubuntu portable on a USB stick? How do I explicitly save changes when running Kubuntu 17.04 from a live USB? How To Keep My Files After Rebooting? 8GB usb become 1GB after installing ubuntu? Persistent USB with more than 4Gig guides not working? How does the size of the persistent file in a live version affect performance?